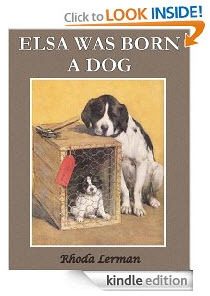 We have heard from the printer that we should be getting the books in hand August 16th. We will notify everyone who has contacted us to pre-order so that you can pay for your copy (or copies) and we can then ship them out. I’ll have to stock up on pens so that I can sign them all! It will be possible to purchase the books online (via PayPal) or send us a check. 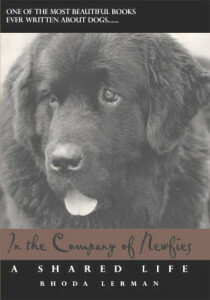 We have an online store set up at rhodalerman.com/store where you can purchase print copies of Elsa Was Born a Dog, as well as In the Company of Newfies and Eleanor. Details for mailing us a check will be listed soon.